I would like sign your service, but I don't find the support in Brazil. There is support in my country in portuguese? Yes, you can use JotForm in Portuguese. 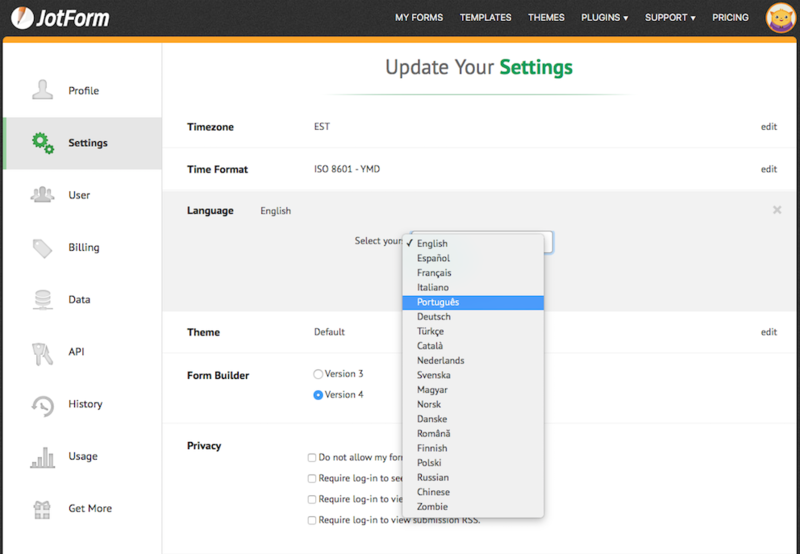 In order to change your language to Portuguese first go to the settings page: https://www.jotform.com/myaccount/settings Then from there you can change the language as you can see from the screenshot.